It was in 1996 when guard Kobe Bryant was drafted into the NBA by the Los Angeles Lakers. Sunday night he became the third highest All-Time Scorer in the NBA. 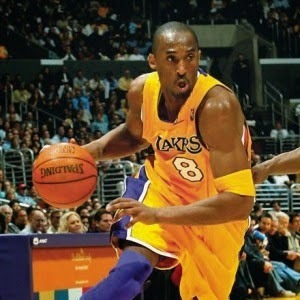 The 5-time championship winner scored his 32,293rd point when he and the Lakers defeated Minnesota Timberwolves 100-94. Bryant finished the game with 26 points and six rebounds. Coach Phil Jackson who coached both Bryant and Jordan called Bryant out on wanting to beat Jordan in his book "Eleven Rings" but Bryant denies those claims saying beating Jordan isn't a big deal. "It's really not a big deal to say I passed him for something like that," Bryant said. "It's a great accomplishment, but the true beauty is in the journey." The 34-year-old who shadowed himself behind Michael Jordan is one of the best players in the NBA of all time. Jordan released a statement to the Associated Press in regard to Bryant's victory. "I congratulate Kobe on reaching this milestone," Jordan told the Associated Press in a statement. "He's obviously a great player, with a strong work ethic and has an equally strong passion for the game of basketball. I've enjoyed watching his game evolve over the years, and I look forward to seeing what he accomplishes next." Congrats to Kobe Bryant on his great victory and many accomplishments!